Here are the important three reasons for use hybrid apps. Reduced cost of development over numerous stage. 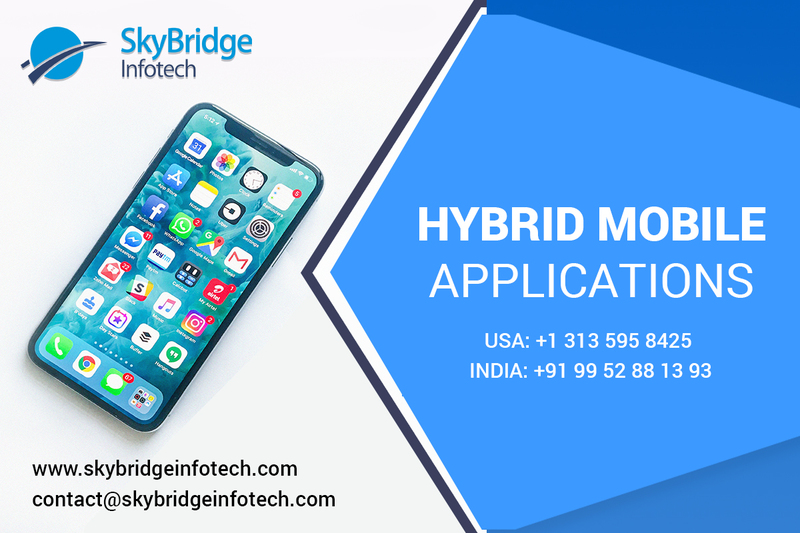 Skybridge Infotech is an exceedingly proficient hybrid applications development company, which is focused on offering end to end hybrid application development services and solutions for its worldwide customers. We have the capability to join the capability of HTML5 development with the propelled mobile frameworks like Sencha, Phonegap and more to construct the applications that resemble native ones on all the significant stages, including Android, Windows, iOS and others. Hybrid Application Development Services provide by Skybridge Infotech, USA and India.